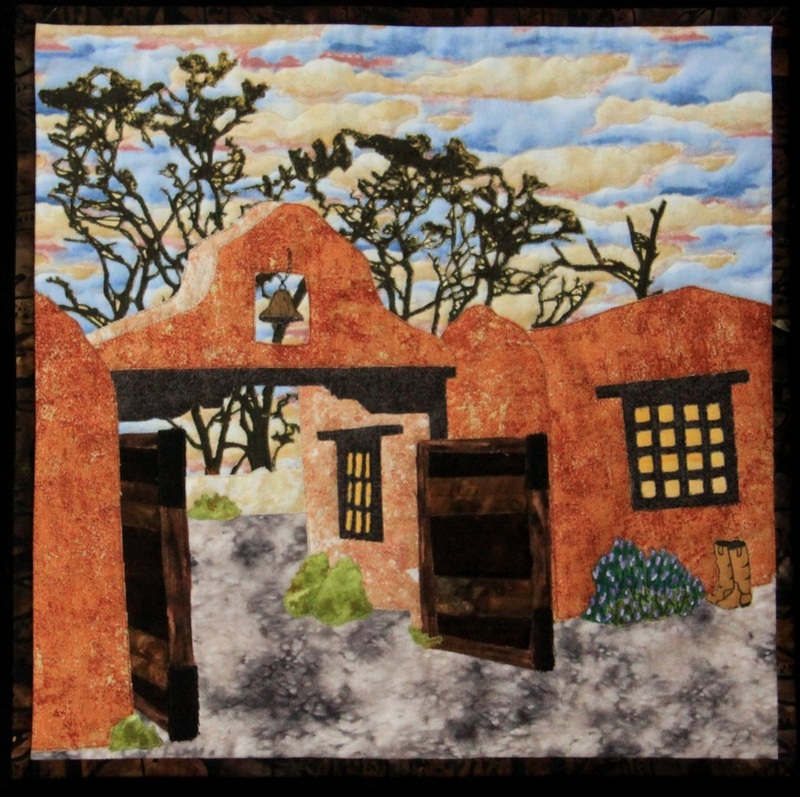 When Janalee Stapleton of Rock Springs, Wyoming received her inspiration quilt, she was transported to her childhood watching the old westerns. Her quilt represents those memories. 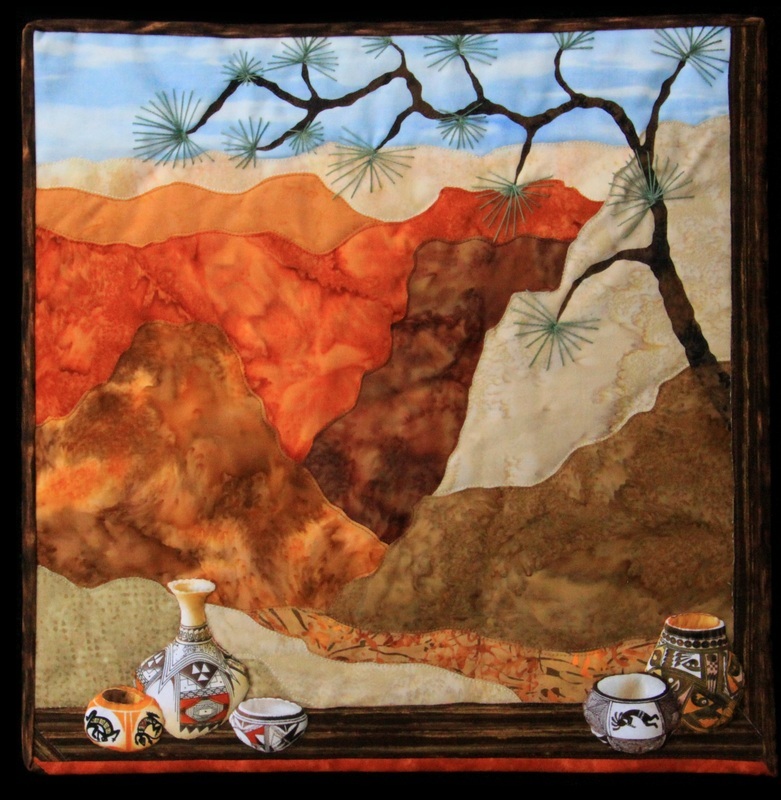 A special memory that Lee Edwards of Gillette, Wyoming has helped inspire the quilt she made. 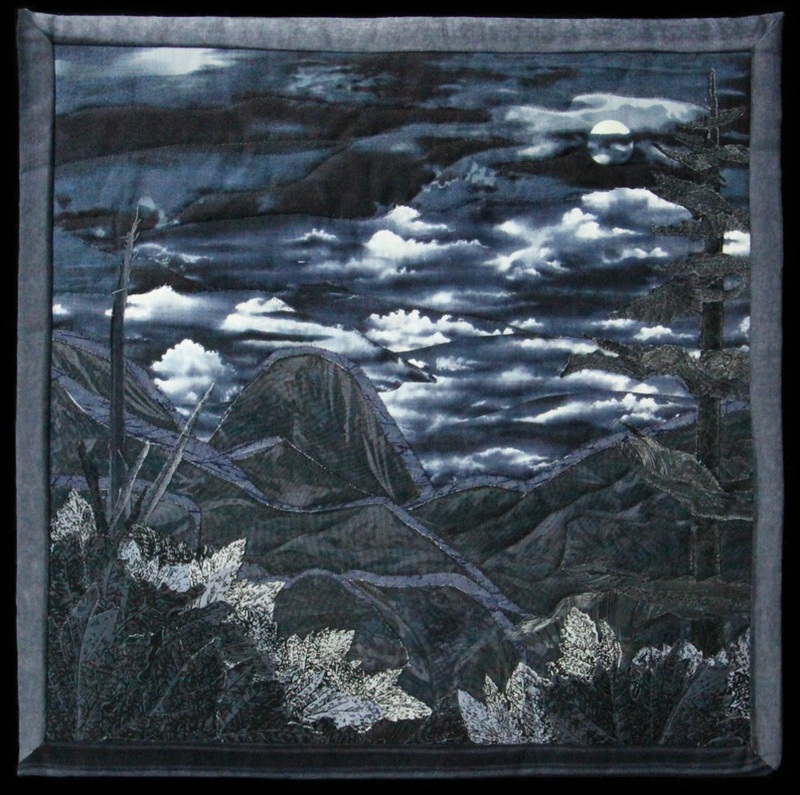 She chose a nighttime view from the window with the moon shining down. 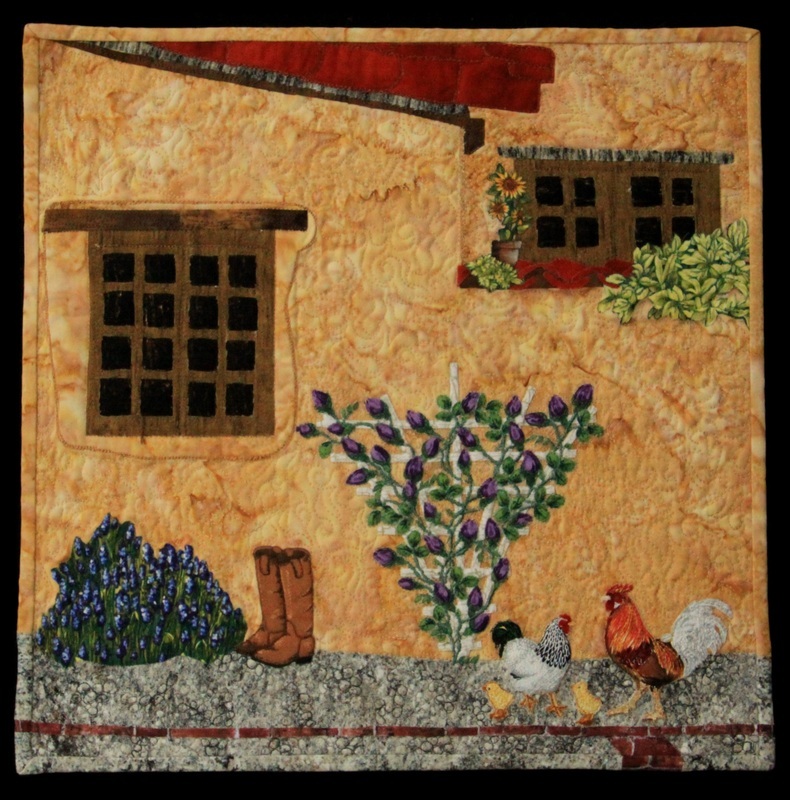 A whimsical design came to mind for Katie Dehn of Sheridan, Wyoming when she received Kathy’s quilt. Her wish is that her daughter will take the time to enjoy the beauty of the stars and to never stop dreaming. 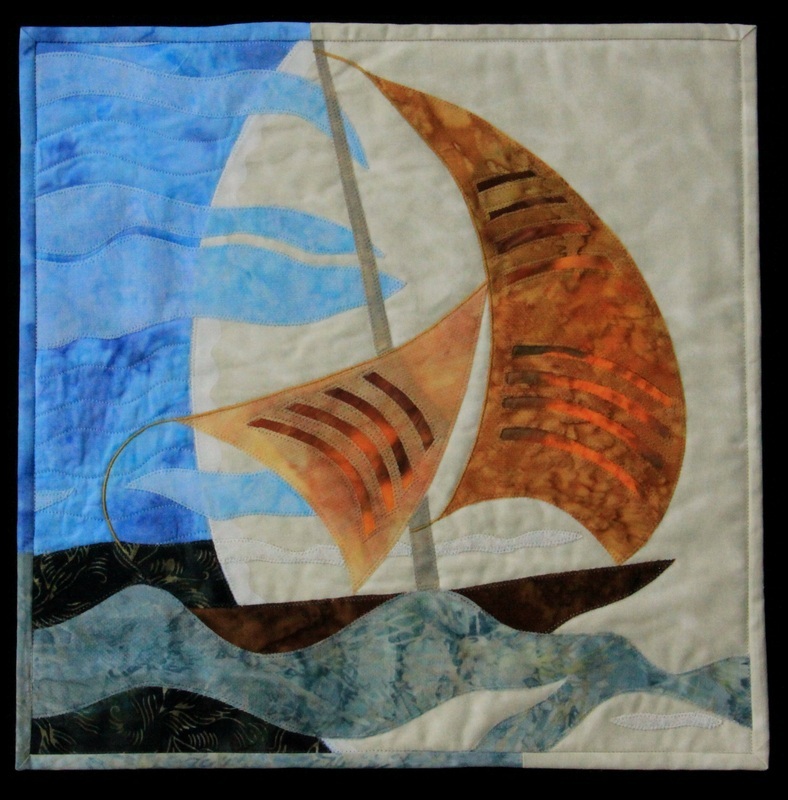 What an interesting progression has taken place with this group of quilts. It begins with a mission style building and ends with a sky full of stars and wishes..
Robin Wacker of Sheridan, Wyoming chose a literal translation of the photo she was given. Some additional elements were added. 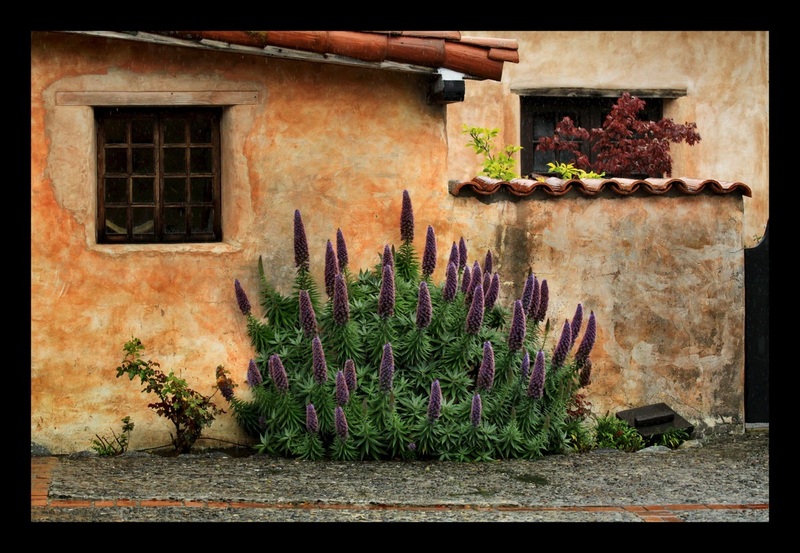 Jennifer Golden of Sheridan, Wyoming chose to create a view from inside the adobe building depicting a beautiful view. through the window. 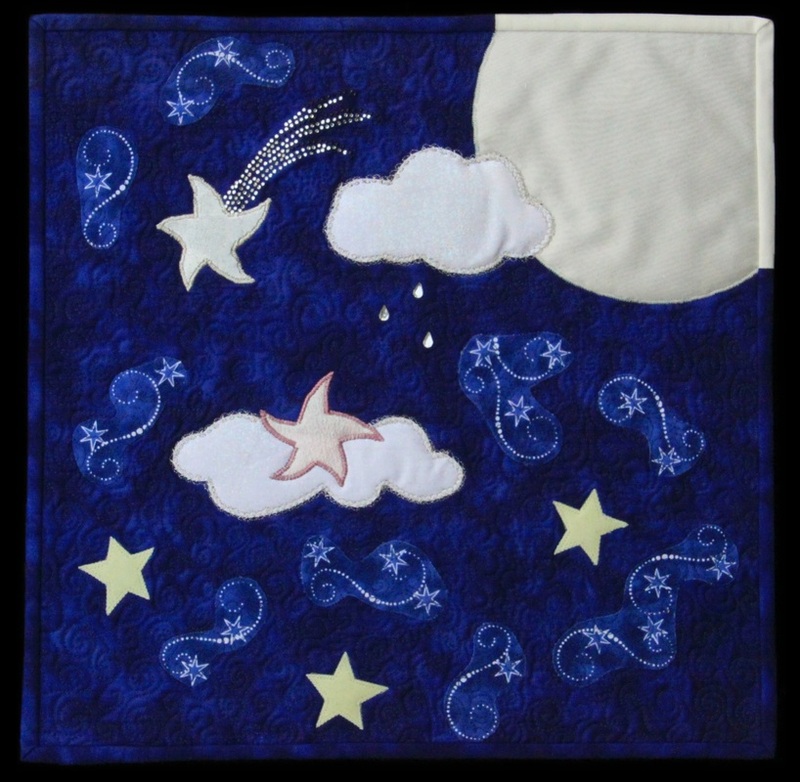 The moon was the focus Kathy Thiel of Rozet, Wyoming chose for her quilt. She saw a sailboat on the mountains of the moon.